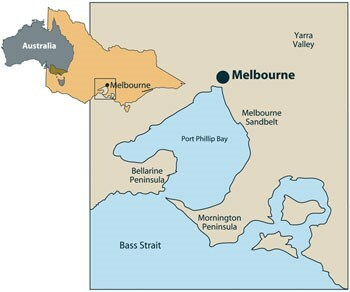 Popular wine country 45 minutes from the centre of Melbourne. 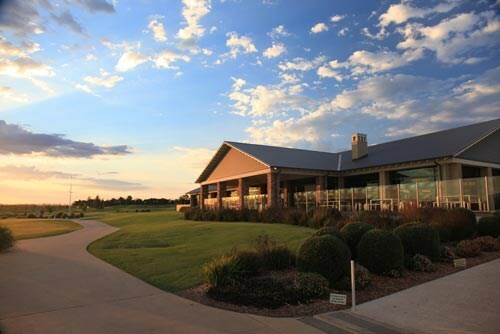 Home to The Heritage Golf and Country Club and RACV Country Club. Other activities include hot air ballooning and winery tours. 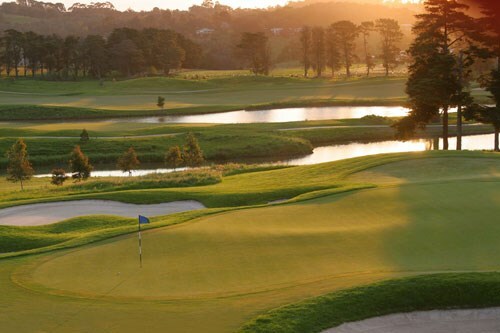 The RACV club at Healesville has recently been completely redesigned by well known golf course architect Michael Clayton. Large, severely undulating greens are hallmarks of the new course as are the craggy bunkers that Clayton is well known for. 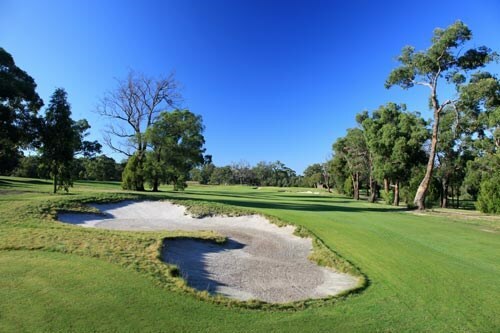 The end result is a course that tests members and other golfers alike still set within the beautiful surrounds of well established bush and forest only 70 minutes from the centre of Melbourne. 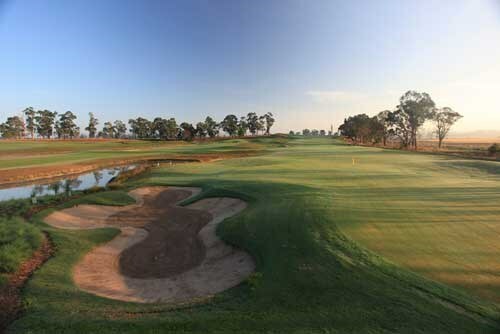 Quality on site accommodation at RACV club allow you to get away from it all, play golf and also partake in a wide range of other activities. 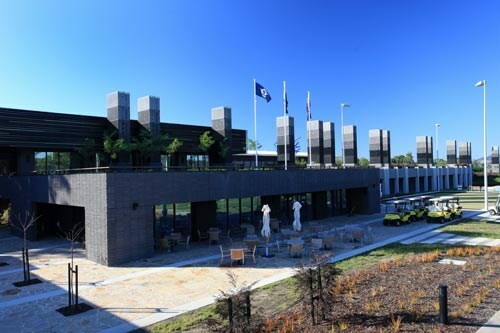 The RACV club at Healesville has recently been completely redesigned by well known golf course architect Michael Clayton. Large, severely undulating greens are hallmarks of the new course as are the craggy bunkers that Clayton is well known for. 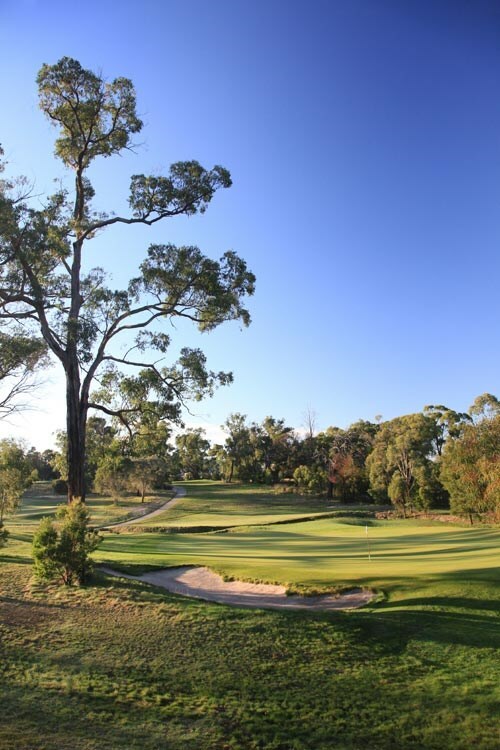 The end result is a course that tests members and other golfers alike still set within the beautiful surrounds of well established bush and forest only 70 minutes from the centre of Melbourne. 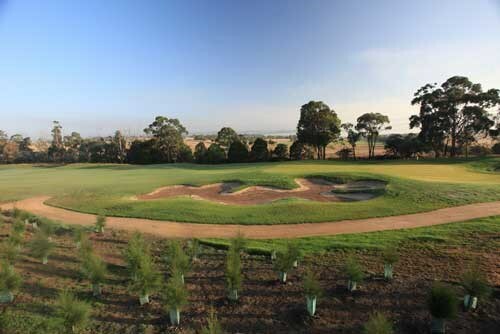 Quality on site accommodation at RACV club allow you to get away from it all, play golf and also partake in a wide range of other activities. The shot to the corner is straightforward - a long iron or fairway wood for most - but the approach to the green plays longer than you think so take an extra club. One of the smallest and flattest greens on the course, a well struck iron to the middle will leave a good chance of birdie. Much like the first hole, best to play an extra club. The slope of the fairway pushes most drives away to the right so hug the flatter, left half. The bunkerless green may look easy from the fairway, but looks can be deceiving. A tier running through the middle of the green divides the putting surface into a lower left and upper right section. Try and be on the half where the pin is. Any drive short of the hill leaves a blind second. Aim further right for the approach than you think and allow the slopes to feed the ball around the flag. Drive as close as you can to the right side of the fairway to leave an easier approach up the green and away from the bunker which eats-up any ball running near. The bunker short of the green does a good job of making the approach shorter than it is but the green is large and long and needs more club than you think. 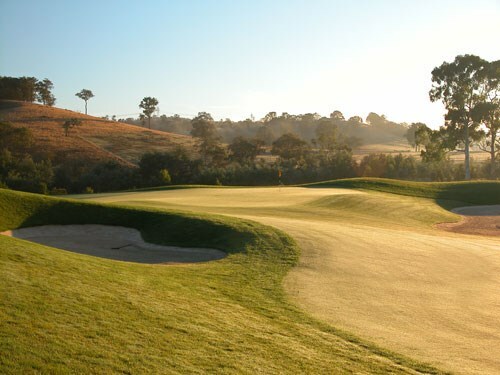 The green is one of the most undulating and fearsome on the course - approachwith caution. If the pin is near the creek, approach from well to the left. The fairway slope will push anything but the best tee shot away to the right, leaving the more difficult angle into the green. 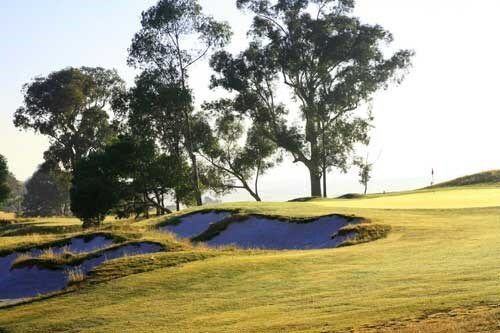 More often than not it's best to play at the middle of the green and take par, rather than flirt with any of the cavernous bunkers and risk ruining the day. The slope around this green feeds any shot landing short away to the right. The best line is usually a touch to the left of the centre - over the edge of the bunker short of the green. The sensible play here is an iron to the bottom of the hill. If the pin is on the left, play short of the big bunker, when the pin is on the right, keep to the left. The big bunker short of the green makes the shot seem a little shorter (and scarier) than it actually is, and being uphill also makes it play a touch longer. There's a slight advantage to those who can keep the ball to the right if the pin is tucked on the left side of the green, and vice versa if the pin is on the right. The further left you can hit your tee shot the better the angle up this green. Many will be able to try for the green in two, but if laying up play as close to the creek as you can. For most this is only a oitch or short iron, but the deep creek in front and bunkers beyond give this little shot plenty of teeth - aim for the middle! The tee shot looks imposing but the fairway is wide so hot freely. The green is a different story - another boldly contoured putting surface sloping off at the front, right and rear. This horseshoe green will be one of the most talked about on the course. The key to the approach is to position yourself on the same side of the fairway as the pin. 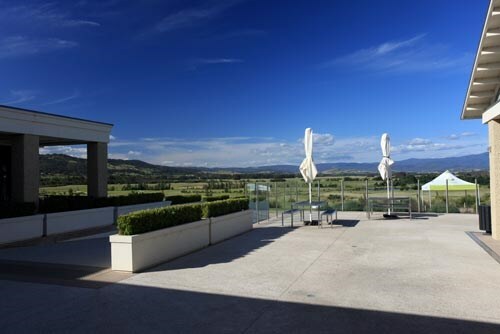 A beautiful country estate within Melbourne?s famous Yarra Valley. 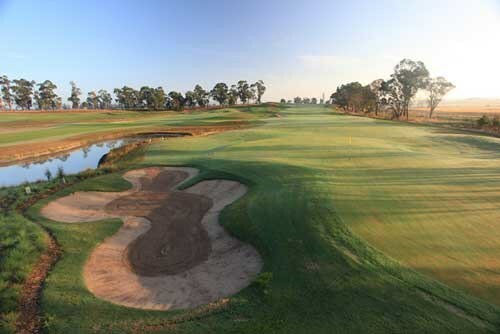 The Eastern Golf Club?s new course has been designed with quality and playablibity in mind. 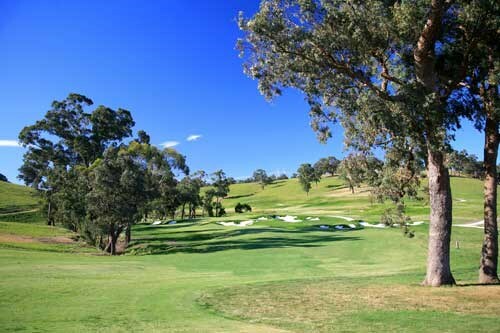 Considered a very playable and enjoyable golf course with the Members tees set a modest 6000 metres and the Championship tees at 6500 metres. Careful planning and consideration has been placed within the distance, carries and water bodies around the course to allow our Ladies and Social golfers an enjoyable experience measuring 5000 and 5600 metres respectively. 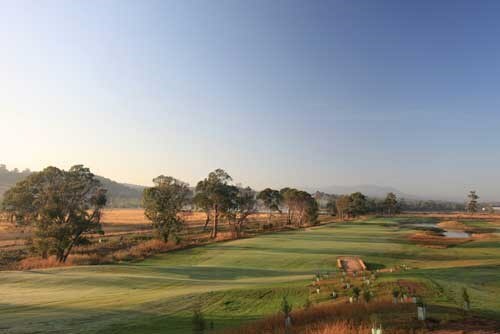 The Heritage Golf & Country Club is located in the spectacular Yarra Valley (a prime Victorian wine district). The Henley Course contrasts beautifully with the stadium style St John course. 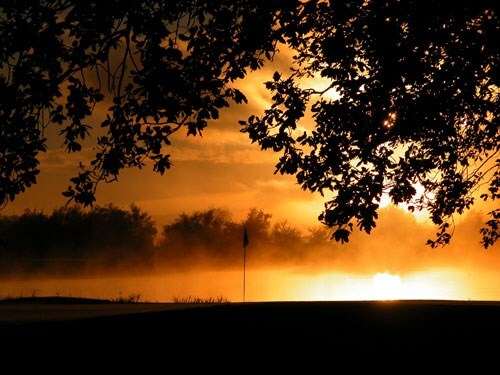 Henley is tranquil, rich in wildlife and is bordered by a tapestry of roughs as picturesque as its flawless fairways. 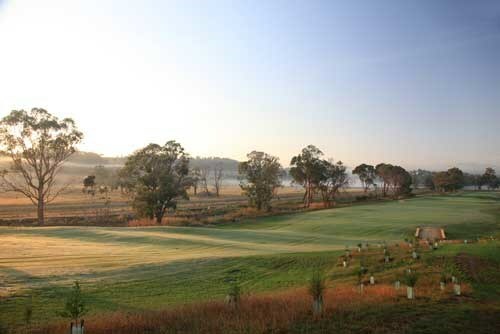 The Heritage Golf & Country Club is located in the spectacular Yarra Valley (a prime Victorian wine district) only 45 minutes from Melbourne. 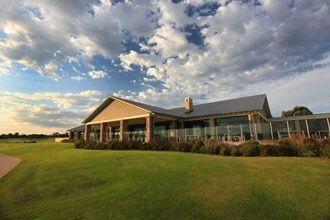 The golf club combines wonderful golf with an imposing, comfortable clubhouse. Excellent service and food to match make it an ideal golfing getaway. 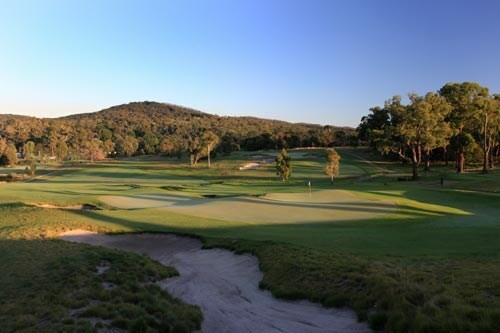 The Henley Course is a Tony Cashmore design that is set to takes its place alongside the St.John course in this 36 hole golfing resort. Extending over a vast area it winds its way through hills and valleys with significant wildlife and plenty of water hazards. 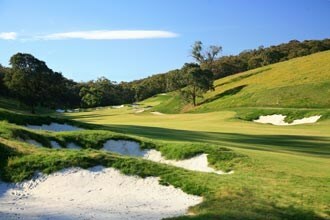 The course is a par 72 measuring over 6,300 metres. 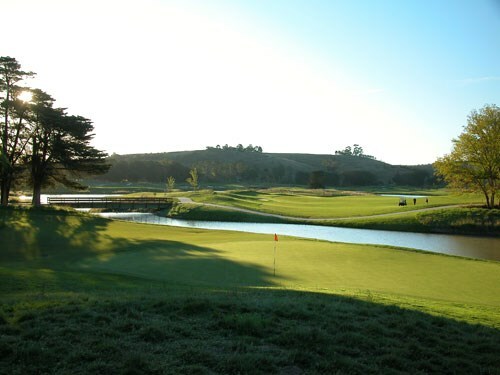 There are a number of exciting holes including the 13th which winds it way through a valley narrowing slightly until the golfer reaches the well protected green. The many lakes on the course provide a home for native wildlife (and no doubt some golf balls too!). 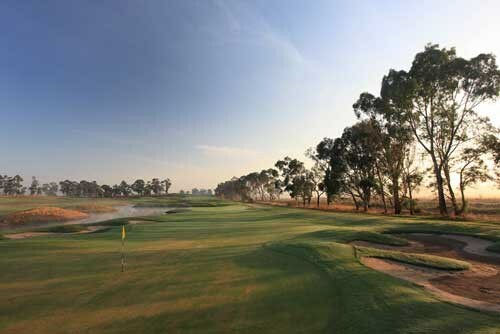 All in all The Henley course is set to take its place amongst the highly regarded golf courses that Melbourne is blessed to have. A mid length par 4 to start where the tee shot needs to be placed in between two bunkers to leave a good angle into a gently contoured green. The big hitter is better placed with a fairway wood off the tee, as the fairway runs out at around 240 metres. The best shot is played down the left side of this long hole. The key is to avoid the pond that guards the right part of the green, and staying out of the bunkers that stretch along the left. Make sure to avoid the back bunkers if the pin is front left, as a miscued bunker shot could find a watery grave. Making par on this hole is a good score. Although distance off the tee can be an advantage on this hole, accuracy is the key to a par or birdie. Water stretches along the left of the hole and a bunker protects the front right portion of the green. Hitting the green may seem easy but an undulating green awaits. A long iron or fairway wood is required to reach this green. Any prevailing wind will see the ball be pushed from right to left towards the water and be aware that a bunker protects the right part of the green. A tough par 3. A premium is placed on an accurate tee shot on this hole. A bunker protects the right and water on the left. Coupled with an undulating fairway the player will be happy just to be on the cut surface. Be sure to take an extra club or two when hitting to the green to compensate for the uphill green. A hole of choices, do you go left, right, or over the dead tree that guards the opening of the fairway? Once on the fairway do I lay up or risk getting close to the green that is protected by bunkers? A great par 5 hole. Long Par 4, dog leg around to the right, slightly downhill. The best line is to just miss the bunkers on the right as the ball will bounce down to level ground leaving a mid iron approach to a tough green. A great little par 3! Short, no bunkers, but birdie is not a given. A hump stands in front of the green to make the hole look longer than the yardage suggests. Once on the green its time to navigate around a gently contoured green. Number 1 rated hole on the course. Fairway runs out at about 235m then leaving a long iron or fairway wood to a big green. The lay up area on the second shot is out to the left. A good start to the second nine with a dog leg to the right, up and over a hill, leaving a downhill second shot into a contoured green. The line on this hole is straight towards the half way house. You need to be straight and long enough past the trees on the left to give yourself a good look at this green. Strategically placed bunkers around the green make this a really classic hole. Tough par 3. Slightly uphill into a big green. A false front and nothing behind the green make this a hard hole to judge. Trust your yardage and play for the right centre of the green. 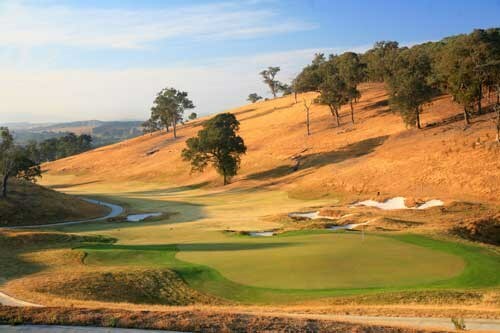 A great par 5 that runs up through the Valley. Position your drive as close to the left bunkers as to leave a long second towards the green. Avoid the large tree on the left which leaves you a simple pitch into a huge green. Watch for the pin placement as it can play longer with a back pin placement. Dog leg left, avoiding the bunkers on the left leaves a mid iron approach into a well contoured green. Driving through the fairway will see you needing to avoid a large tree on the right. A short par 3 across water with a bunker at the back. If the pin is tucked to the left, the safe option is to just play for the middle of the green. A long par 4 straight down hill. Avoid going right as you may not find your ball again! Second shot will play shorter as it is still downhill into a big green. A real long 3-shot par 5. Once your in the fairway you have to then decide where to lay up. Left is the best option to avoid the bunkers and water on the right. Beware as a large bunker protects the opening of the green. A long par 4 to finish your round. Dog leg right over a crest into a heavily guarded green. Par here to finish and you will be happy! 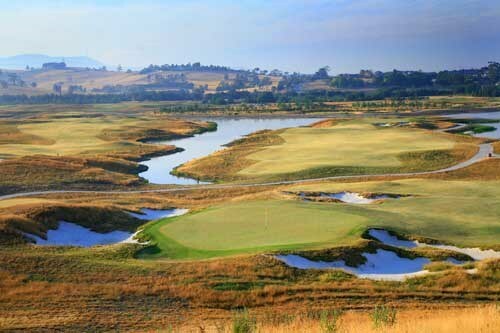 The Heritage Golf & Country Club is located in the spectacular Yarra Valley (a prime Victorian wine district). 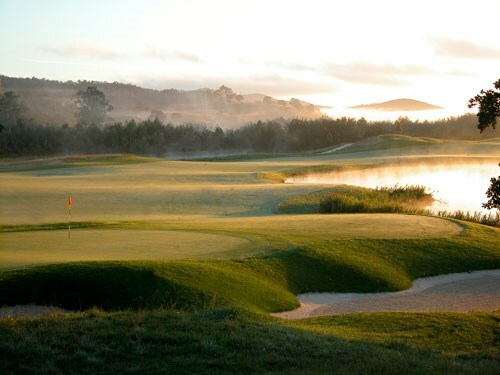 The Heritage is a Jack Nicklaus Signature designed golf course that meanders its way through gently rolling hills and carefully placed water hazards. The St.John course is a championship golf course and at 6670 metres long features specially designed bunkering to guide players toward the green. 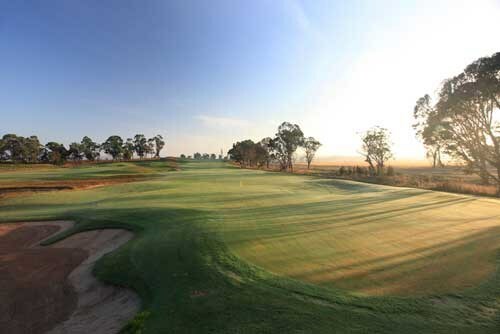 Generous landing areas, sculptured fairways, immaculately groomed greens, paved cart paths that weave throughout the course, and meticulous landscaping all add to your playing pleasure. 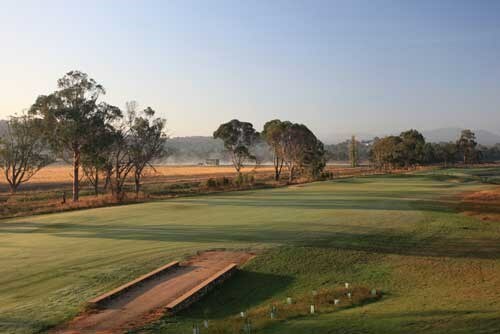 The Heritage Golf and Country Club is a vision which has been a long time in the making. 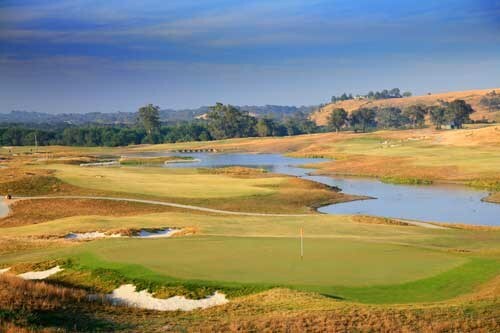 Located in the spectacular Yarra Valley (a prime Victorian wine district) The Heritage is a Jack Nicklaus Signature designed golf course which meanders its way through gently rolling hills and carefully placed water hazards. The St.John course is a par 72 course which will have you using every club in your bag. 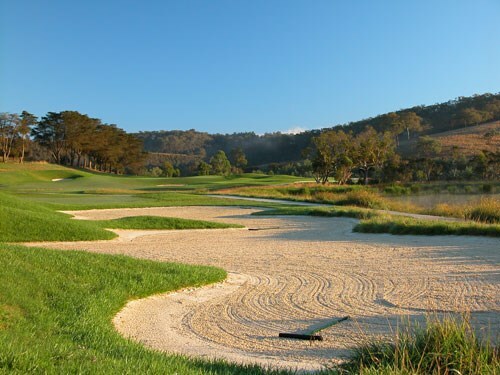 With an ACR of 74 off the Gold tee, this beautifully constructed par 72 course challenges at every turn with excellent water features and strategically placed slopes, mounds and traps. 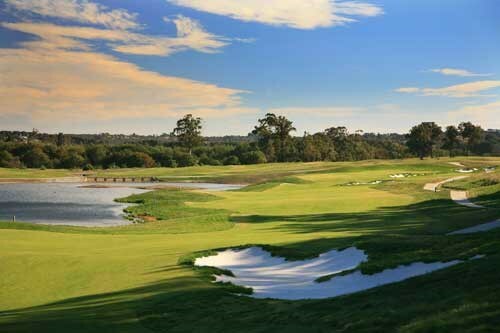 Jack Nicklaus, arguably the most influential player in golfing history, has drawn on all his experience in designing the St John course - a spectacular parkland course which complements the exquisite beauty of the valley. He has also acted as a Consultant in the development of a second 18 - The Henley, a traditional links style course designed by Tony Cashmore. Both these courses benefit from an excellent sand base (the result of a massive sand capping process) allowing greenkeepers to grow carpet-like couch fairways with ease. The natural, virtually instantaneous drainage following rainfall allows for uninterrupted play. The St.John course is a championship golf course and at 6670 metres long features specially designed bunkering to guide players toward the green. 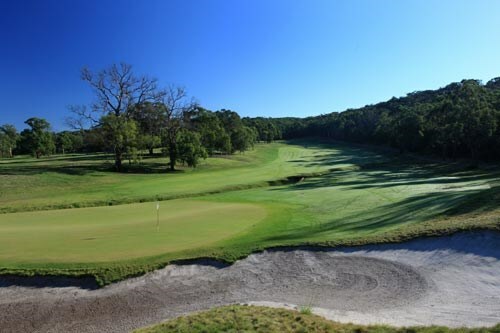 Generous landing areas, sculptured fairways, immaculately groomed greens, paved cart paths that weave throughout the course, and meticulous landscaping all add to your playing pleasure. 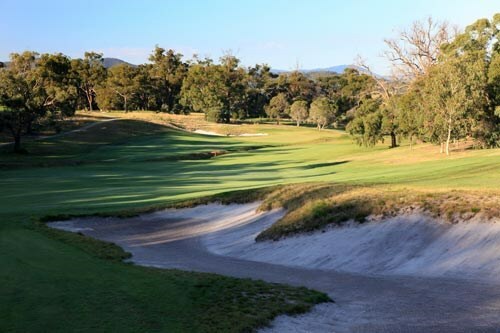 From the challenging quarry hole par 3 11th (with water down the right hand side and and an ever-present quarry rock face skirting the left side of the hole) to the series of long and testing par 4's, The Heritage is an enjoyable test of golf. This short par 4 should help the golfer get off to a quick start, but poor execution could leave the golfer with a bag score to start with. The best play is a driver off the tee, favouring the right half of the fairway. This will leave the best angle into the gently contoured green. Although a bold play, the best tee shot on this long par 4 will be played to the right half of the fairway, bringing the water on the right side of the tee shot into play. If successful off the tee, the golfer will find themselves with a shorter shot to the green with a much better angle into the green. The green pitches from left to right. This mid-length par 3 favours a variety of shots depending on the pin location. A fade to the green works best when the pin is up front or right center, but the always-difficult high draw is favoured when the pin is in the back section of the green. The best shot is played as close to the small pot bunker on the left. The golfer then has the best chance to hit the green in two when playing down wind, or to clear the cross bunkers when playing into the wind. Clearing the cross bunkers on the second shot is required if you are to get a clear view of the putting surface for your third shot. A well-struck tee shot, avoiding the bunkers is a must. Not to be outdone by the tee shot, the second shot is one of the most exciting on the golf course. While avoiding the bunker short left of the green, the golfer will have to use the fairway contours to keep the ball out of the collection bunker on the right and onto the putting surface. Although distance off the tee is a real advantage, accuracy off the tee is the key to par or birdie on this hole. With bunkers protecting both sides of the fairway, finding any one of them will bring the pond protecting the right side of the green much more into play. This long, slightly uphill par 3 demands an accurate, well-struck shot to reach this well bunkered green. Because of the green angle and contours, a draw is the best shape for your shot here. An accurate, strong tee shot is needed. The 2nd shot looks tough but can play much easier than it appears if the golfer takes advantage of the contours in the approach and green. These contours strongly slope right to left and help the ball feed towards the center of the green. When the pin is on the left, a ball hit to the center should pick up the elevation change in the middle of the green, and feed to the pin. The mid-length par 5 is very reachable in two if a strong drive is struck over the fairway bunker on the left. If successful the ball will reach the elevation change in the fairway, which will feed the ball forward another 10-20 meters. If the golfer achieves this then they will have a good angle to the green, where they have the luxury of being able to hit their second shot short of the green and still have a good chance to bounce the ball on the green. Whether it's the second or third shot to be hit into the green, hitting from as close to the water as possible is a much easier shot because of the angle of the green. The golfer may want to hit a fairway wood off this tee to place their drive between the bunkers protecting both sides of the fairway. Water is very much in play on the second shot as it lays in front of the entire green and fairway pad to the right of the green. Precise placement of the second shot is required on this small but contoured green. With the green sitting at the base of an old quarry and with water protecting the entire right side of the hole, an accurate mid iron is required on this beautiful par 3. With the green measuring almost 40 meters in length, club selection is critical. This downhill tee shot may be the most dramatic tee shot on the golf course. A well placed drive right of the bunkers, but keeping out of the water leaves the golfer the option to reach the green in two. 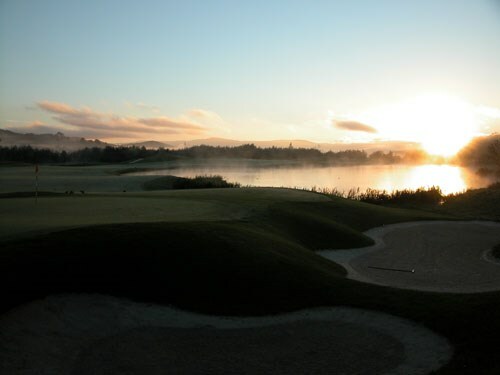 If the golfer can?t reach the green in two, their 2nd shot is best played as close to the water as their nerve allows. This short par 4 plays much harder than its length in that it plays up to 15 meters uphill depending on the tee the golfer chooses to play from. A deep bunker protects the right side of the hole for those golfers trying to cut off as much length as possible. Be sure to take an extra club or two when hitting to the green to compensate for how uphill it plays. Although there are no bunkers on the tee shot, a good tee shot works best favouring the left side of the fairway. With the green angling and pitching hard from left to right, a fade is best played to the left center part of the green without bringing the deep greenside bunker into play. A generous fairway awaits the golfer off the tee. With water protecting the entire left side of the hole and bunkers protecting the right side, placement is critical on this hole. The best angle into the green on the third shot will depend on the location of the pin. Front and left pins are best attacked from the right side of the fairway. This long par 4, plays even longer being over 6 meters up-hill. A strong drive avoiding the deep bunker on the left and right of the landing area is needed. With two bunkers left of the green and one right, an accurate long iron or fairway wood is needed to find the green in two. A long iron or fairway wood is required to reach the green. Like many of the approaches at The Heritage, strong side pitches in the approach help to feed the ball into the green. Off the tee you can hit over the bunkers (to create a shorter approach) or they can play more conservatively off the tee, avoiding the bunkers, but leaving a longer shot with a much more difficult angle to the green. The green is well protected with bunkers, thus demanding both strength and accuracy for the second shot on this difficult, long par 4. 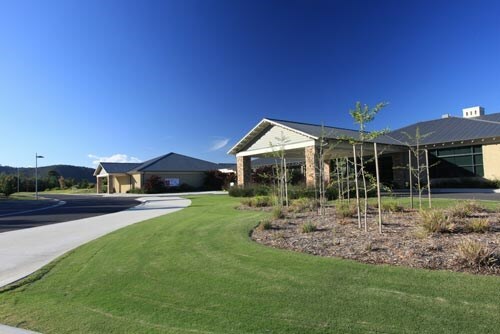 Our facilities include 9 hole golf course, par , 7 Rink bowling green, 2 tennis courts, 2 squash courts, swimming pool and wading pool, conference and meeting facilities Garden Room (150 capacity) bistro dining, lounge and 'sports' bar and garden areas overlooking the picturesque club grounds. 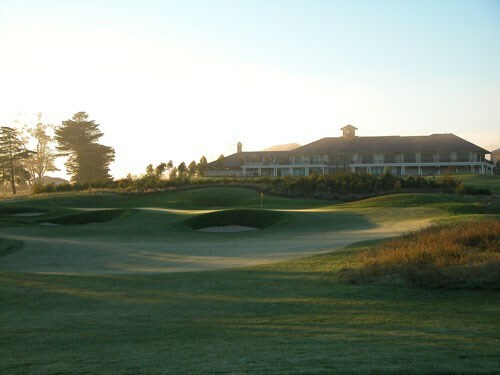 Yarra Valley Country Club is conveniently located in Melbourne's eastern suburbs. 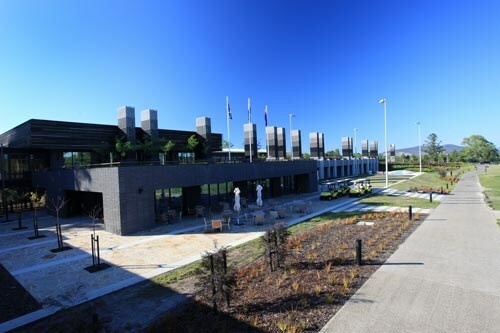 The hotel is ideally positioned at the gateway to the Yarra Valley, just 45 minutes from Melbourne's CBD and right on the doorstep to over 100 wineries. 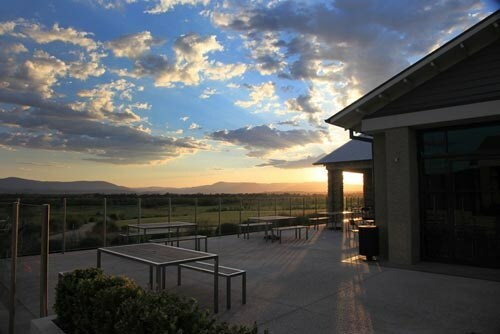 In times past, the Yarra Valley was best known for its famous vineyards. 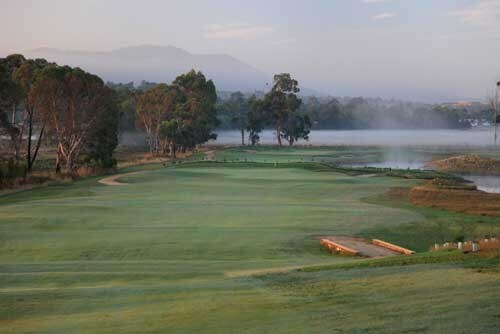 But this is changing as more and more golf courses are appearing on the Yarra Valley map. 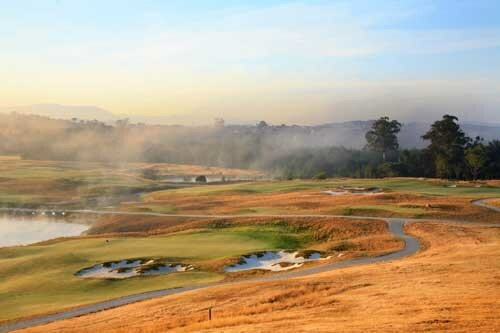 The jewel in the golfing crown in this region is the The Heritage Golf and Country Club. 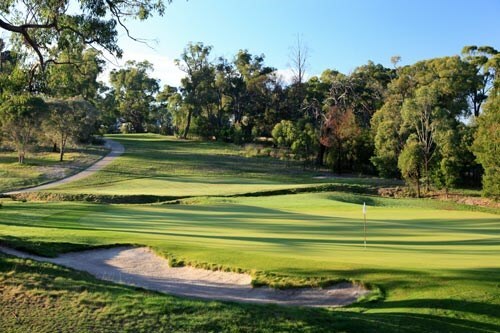 Located 45 minutes northeast of Melbourne The Heritage is home to two magnificent 18 hole golf courses (St.John and Henley). 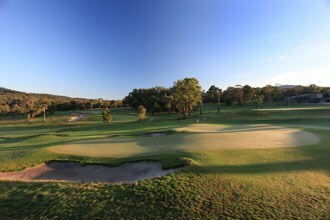 The Heritage St.John course was have been designed by Jack Nicklaus and he has used the moderately undulating land to craft a golf course well rated in golfing circles. 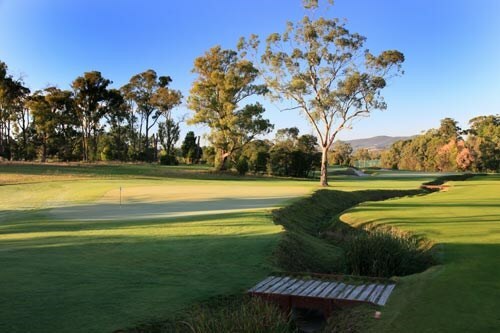 The sweeping, lush fairways, white bunkers and numerous water hazards combine to create an aesthetic pleasing and quite challenging golf course. The 11th hole in particular is one such challenging hole. A moderate length par 3, its main feature is an old quarry wall which frames the hole on the left hand side. The right hand side has a ball catching body of water so the only sensible way to play the hole is to land on the green! Stories abound of golfers coming to this hole and attempting to play safely to the left only to find that their tee shots richocheting off the quarry wall and in to the water on the other side of the green. 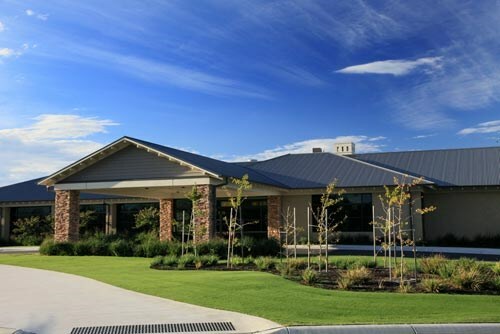 The Sebel Lodge Yarra Valley is also located on the site of The Heritage and provides very comfortable 4.5 star accommodation, conference facilities and fine dining. It has also recently opened a complete Day Spa complex to help relax those tired muscles. 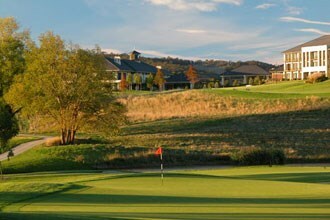 A further 20 minutes down the road lies the RACV Country Club at Healesville. This member's only golf club (with limited access provided through GOLFSelect) is a fun test of golf. 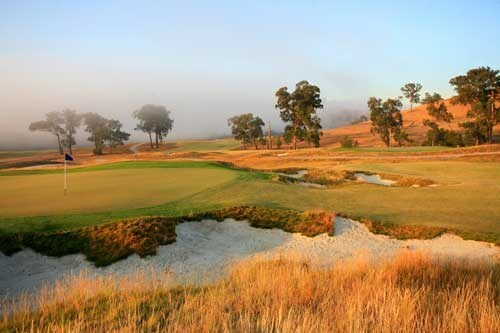 The course has been redesigned by Michael Clayton (Barnbougle Dunes architect) and currently there are 9 holes in play with the other 9 holes due for completion in mid November. 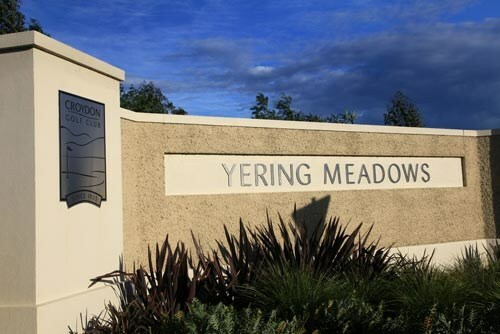 Further developments are occuring in the Yarra Valley region including the establishment of Yering Meadows (relocation of the Croydon Golf Club) (which will incorporate a 36 hole golfing complex) and one other project in its early stages. 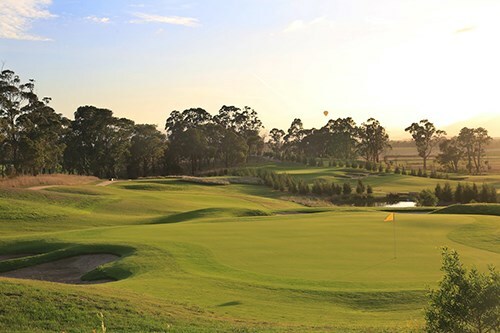 Over time this region will become one of the main golfing regions of Victoria and, when combined, with other activities including ballooning, winery tours, fine dining and walking make it the ideal getaway. 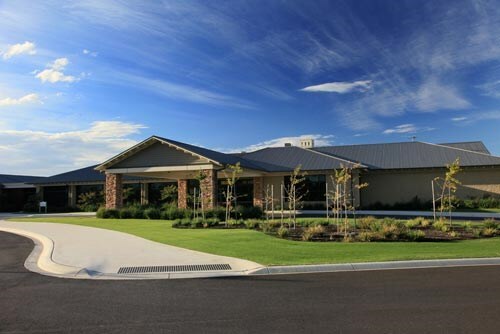 Below are some useful facts and figures for the Yarra Valley Region. Use these to work out the best time to visit this region.